With all of the earthly unpleasantry of the ever-encroaching surveillance state, it is nice to think that NASA is using its powers of sight to gaze upon the galaxy like never before. The James Webb Space Telescope, currently being completed at the Goddard Spaceflight Center in Maryland, is due to launch in 2018 and will use infrared capabilities to observe the universe from a gravitationally-stable location (known as the “L2” LaGrange point) 1.6 million kilometers away. 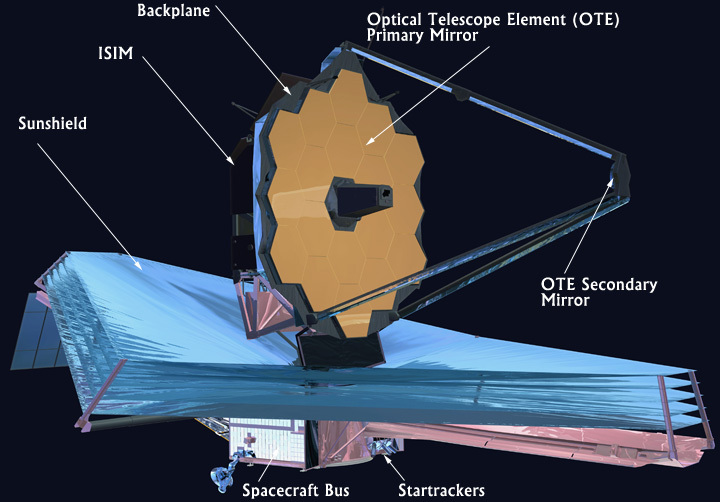 However, fluctuating annual budget issues are putting the project (NASA’s most ambitious telescope launch since the Hubble) in possible jeopardy, with administrators worried that sequestration-induced budget cuts may further delay the launch (which at the time of the project’s conception had been slated for no later than 2011). Currently at Goddard, several elements of the telescope are being prepared for testing in the facility’s cryogenic chamber, which simulates the environment of outer space by using liquid nitrogen to create a super-cooled sealed environment. The Fine Guidance Sensor, Mid-Infrared Instrument, Near Infrared Spectrograph and Near Infrared Camera will be subjected to Goddard’s thermal vacuum chamber this year in what may prove to be an expensive round of testing. Due to the necessity of continued testing for both the flight and engineering models of the telescope’s equipment, the Webb’s 2013 budget of $627.6 billion would not have been enough to continue to sustain the project as planned. However, thanks to sequestration negotiations and the White House’s interest in the telescope as a major space initiative, Congress recently granted the project $658.2 million for 2014. If further sequestration issues are not dealt with in the years to come, the volatility of the budget will force NASA to take money from other projects to assure the continued development of the Webb project. The extremely sensitive thermal imaging cameras and optics must be extensively calibrated so that the telescope will have the capacity not just to identify planets, but to characterize their composition. The Webb’s primary optic (main mirror) is 6.5 meters across, and is comprised of 18 smaller hexagonal mirrors that will be folded into the nosecone of a rocket and then deployed once in space. Once in place, mirror calibration is made possible by small activators that can manipulate and hold the mirrors in place for weeks at a time (working as one unit, calibrated down to nanometers) in conditions that could reach -400C. The mirrors themselves are made of gold-coated beryllium substrate, which is optimum for maintaining stability in an unpredictable space environment. Concise testing of these elements is critical, as the mirrors and actuators must be calibrated down to billionths of a meter to achieve the project’s peak results. The Webb telescope will use its precise thermal imaging array not just to see and characterize planets, star formations, and various other phenomena through clouds of space dust, but also to examine remnants of light from the early universe that may lend clues as to the nature of space’s oldest galaxies. Lee Lawless is a writer and musician living in New York City.